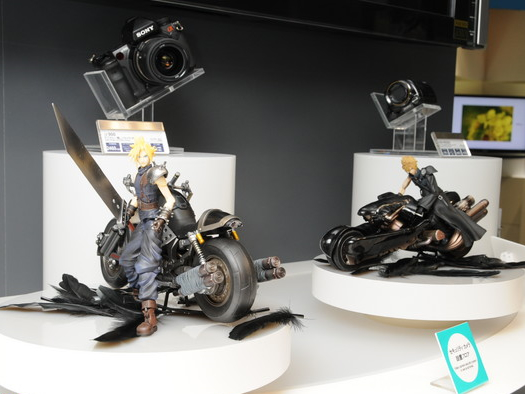 Square Enix Japan have pulled out all the stops in promoting its extended cut of FF7 sequel Advent Children, having a launch party featuring an early screening of the movie and an impressive display of FF7 and FF13 items for people to look at. 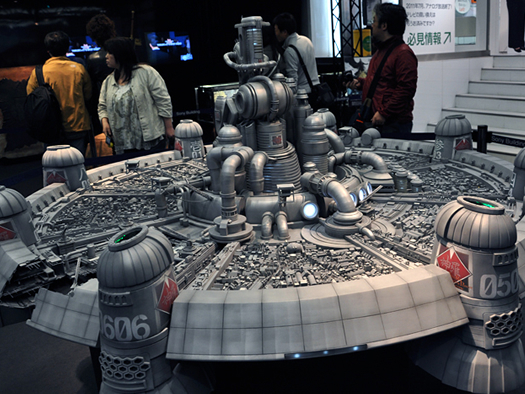 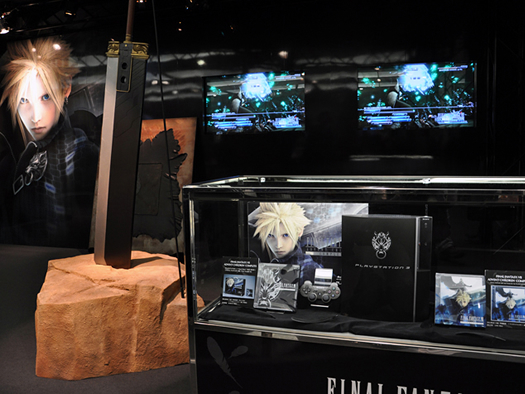 The display included a massive replica of Midgar, a life size Buster Sword replica, a selection of FF7 action figures and toys and several PS3s displaying the Final Fantasy 13 demo. 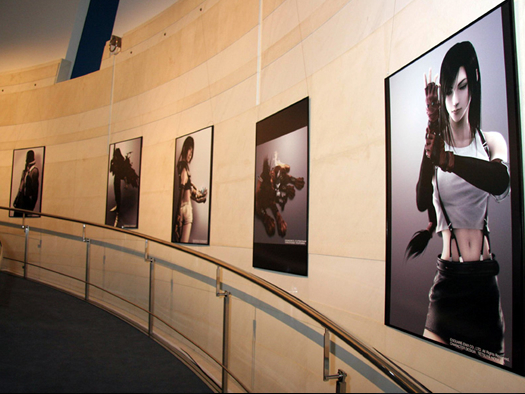 All this was set to a backdrop of giant art of characters such as FF7's Cloud and FF13's Lightning. 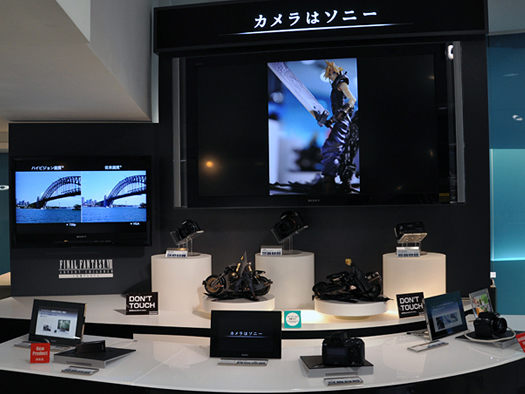 Also on display were some Sony cameras and other gear, showing Square continuing their close relationship with the Playstation makers. 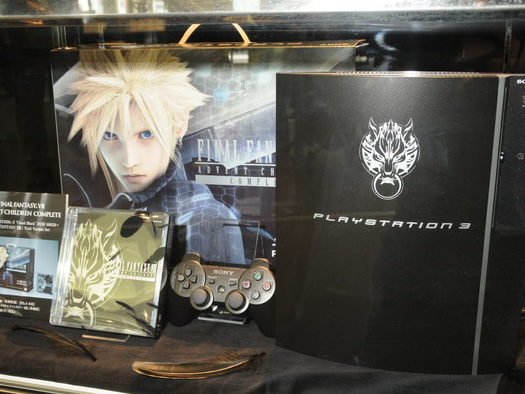 At the same event, Square Enix executives announced that to celebrate Advent Children Complete's release, FF7 would be heading to the Playstation Network in Japan as a Download. 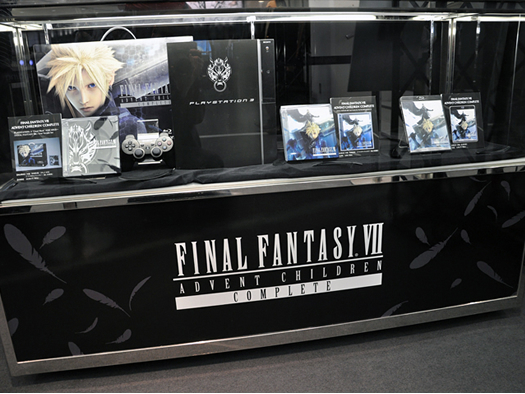 Here's some nice images of the party for you. 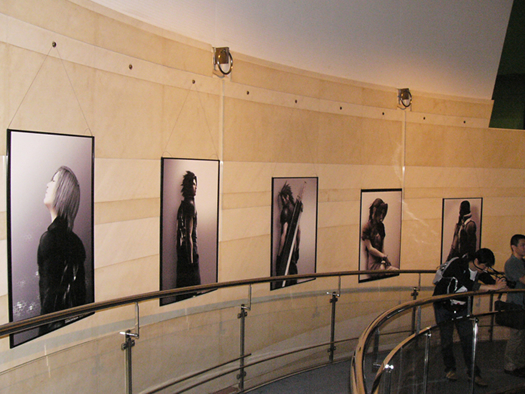 Don't you wish you were there? 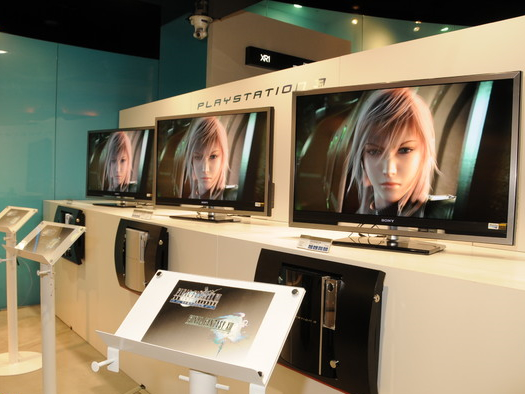 Be sure to sign up for our RSS Feed for all the latest FF news and info as it happens, including screens, videos and FF13 demo information.